When did you first realise your son had autism and how did you find out? A rather abrupt nursery teacher told us our son was; ...like a special needs child... at age 2 ½. But we had also noticed things at home. He never really pointed at things, he was quite floppy, his play was very different, he lined things up. He hated having his hair cut and would wander away from us when we went out. How did you feel when you found out that your son had autism? A real mixture of emotions. First relief to know we weren't going mad there was something, hope because he was diagnosed early and I had heard that early intervention was key and also scared as I had no idea what the future would bring. Where did you first turn for help? The centre where my big lad was diagnosed told us he was too young for therapy from a psychologist so we had no idea what to do. I asked my GP and the health visitors. We were referred for speech therapy and physio therapy. What advice would you give a parent who suspects or has just found out that their child has autism? Don't panic! 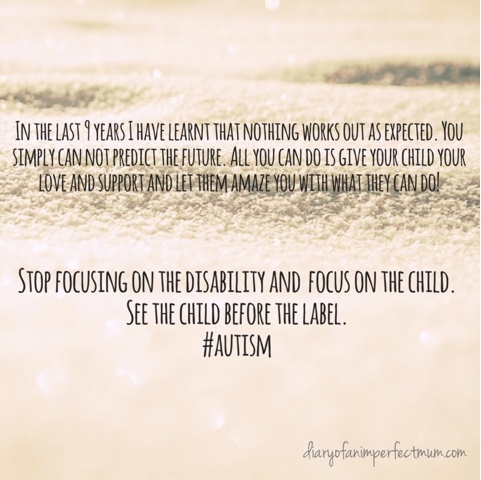 Always focus on your child and not the diagnosis. I have written about this in detail at: Advice for parents of children newly diagnosed with Autism. What exactly is autism? Did you know what it is when it was first diagnosed? I am a primary school teacher and had worked with children with Asperger's syndrome so I had some understanding of Autism through my work and training. Autism is a lifelong developmental disability which affects how people communicate and understand the world around them. What are the biggest challenges facing you, your son and your family with regards to your son’s autism? The biggest challenge for me is the lack of support. I think parents are put under a lot of pressure to coordinate their child’s care, be their advocate and to essentially become the expert. My biggest worry is that we are making the right choices for him and what his future will be. What has been the greatest help for you, your son and your family in overcoming these challenges/in living with your son’s autism? School: we found a really good school and have had amazing support from them. We had parental support from a psychologist to talk about our worries and concerns this was fantastic! Starting my blog. Writing about our journey has been really cathartic for me and it is great to link up with other SEND parents and follow their stories. 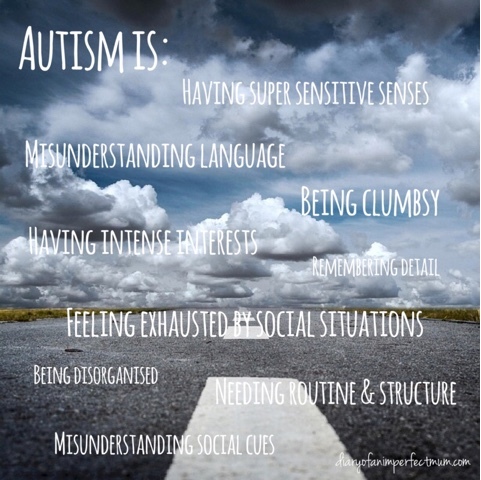 What has surprised you the most about raising a child with autism? The stereotypes: That autistic people are loners who don't want friends, that they don't show empathy or love that they are either non-verbal, low intelligence or rain man with nothing in between or that autism can be miraculously cured. As the saying goes: So you’ve met one person with autism then you have met one person with autism. Everyone is unique! 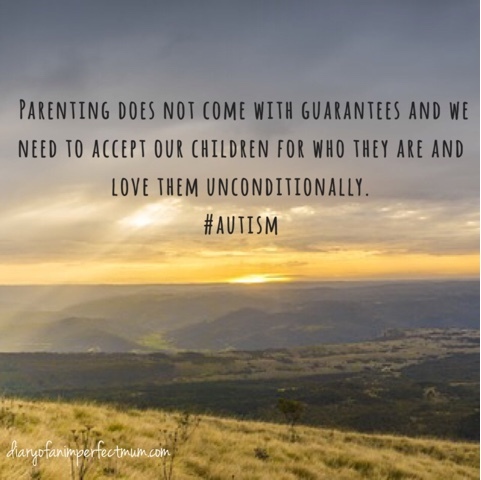 What’s the main bit of/the best advice you’d give any parent who has a child with autism? You are the expert, as you are the one that really knows your child. Don't let people tell you what your child is capable of be ambitious! Push them to achieve, they will surprise you. Generally, what have you learnt about parenting, life, people or children from your experiences as a parent of an autistic child? Being a parent is challenging but we need to trust that in the end we will all arrive at the place we need to be. Our experiences are unique and it is how we choose to respond to them that will define us. Next month we will hear from the brilliant mrssavageangel. If you would like to join in the series please DM me. Thank you to Meg at family point Cymru for her questions.